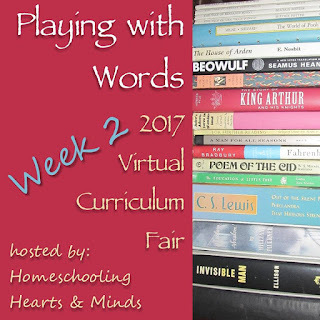 Welcome to "Playing with Words" and Week 2 of the 2017 Virtual Curriculum Fair, hosted by Homeschooling Hearts & Minds! This week's focus is on Language Arts - English, Grammar, Writing, Literature, and more. The abilities to communicate and to learn are, in my opinion, the most important skills a student needs in order to be successful. 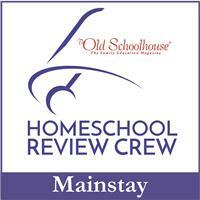 Reading, writing, and understanding words and using them effectively is foundational to communication and to learning. And one of the things I love about homeschooling is the flexibility we have to use just the right approach for each student - Finding the Right Words to help each one learn what they need to know. The following resources are the curricula we are using this year for Language Arts. We were able to review The Power In Your Hands last summer, and as we expected, it was a great fit for Kennady, so we are continuing with it through the school year. The book is written directly to the student, so she can work quite independently. The tone is relaxed and personal, with a bit of humor thrown in now and again. It's a great fit for Kennady, because she can work mostly on her own, and she likes the conversational tone. It's a good fit for me too, because the numbered lessons make it easier to keep track of work (this is an update from the first edition), and the Teacher's Guide offers specific grading grids to make evaluations easier. 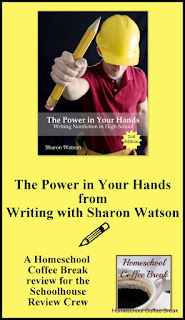 Students learn to write a persuasive essay; a compare-and-contrast essay; a biography; a literary analysis; and a research paper; and will be prepared for the new SAT essay and for college writing. 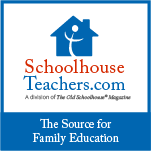 We also like the collection of 14-Minute Power Surges found in the Teacher's Guide. 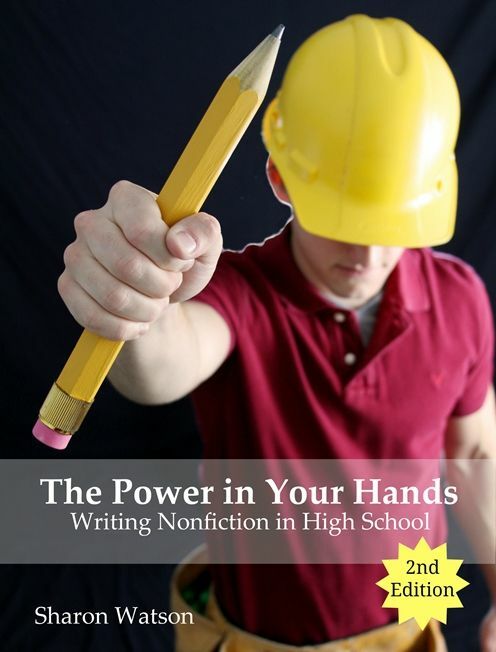 These writing prompts encourage students to write without necessarily being graded on it. But those could wind up as "starter material" for essays that they will be graded on. We've found that Fix-it! 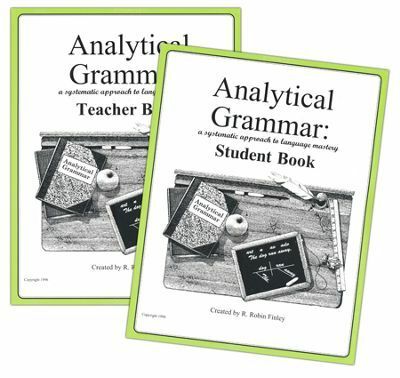 Grammar (from IEW) is a great fit for Kennady, since she is a story-teller and that's the format of this grammar resource. A story is told, a sentence at a time, and students look for the intentional errors and correct them, learning about parts of speech and their functions as they go. They re-write the corrected story in their own journal, in their nicest handwriting. Kennady definitely enjoys this part! This course can be used for all ages, and teaches parts of speech, punctuation, and everything else grammar related. Younger students can go through the book(s) much more slowly than older students and learn the same material. The instructions are to work on one sentence per day for four days, but since Kennady has a great background in grammar already, we do a week's worth or more of Fix-It! lessons at a time, and in just a short sitting. As the concepts get more complex, we'll be prepared to slow down if we need to. We originally got started with Fix-It! 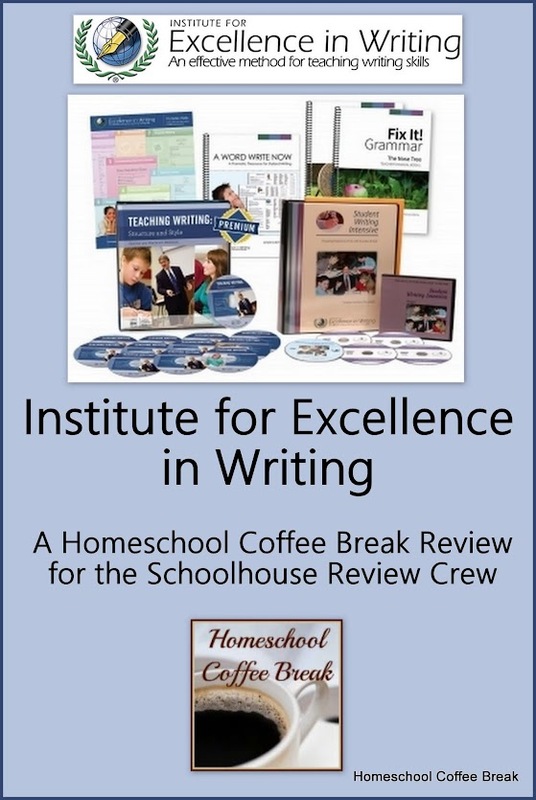 as part of our review of the Student Writing Intensive Level C from IEW a couple years ago. If you're looking for a writing course for high schoolers that is taught by someone other than you, give the Student Writing Intensive a look. It's a four-DVD set with basically all the teaching done by Andrew Pudewa. This curriculum was a good fit for both of my kids that year, despite their different learning styles and interest in writing, because they started by focusing on developing good writing skills without worrying about the content. This is another product from the great people at the Institute for Excellence in Writing, and it feels like we are doing this purely for fun! This is Linguistic Development through Poetry Memorization - which may not sound like fun, but trust us, memorizing these poems really is enjoyable and painless. We don't have a set schedule to work on these, and to be completely honest, we've neglected it recently, but what we do is keep the CD and the Student Manual in our car, and when Kennady and I go for a drive, we work on our repertoire of memorized poems. 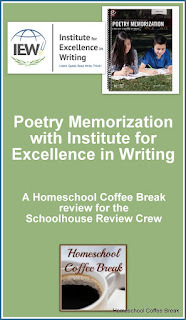 We recite all the poems learned so far, then listen to the new poem several times before trying to recite it ourselves. Kennady was a little skeptical at first, and the first few times she was reluctant to put much dramatic effort into her recitation, but as we went along she became more animated. We even enjoy a bit of friendly competition too, as I am memorizing along with her. We do need to get back into the habit of working on this, which has been difficult while we're sharing vehicles with others in the family and therefore spending less time driving on school days. We may need to actually work on it at home instead of just while driving! 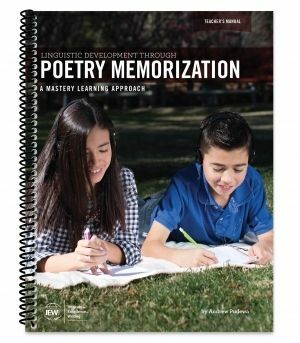 What are some favorite Language Arts resources you've used? Leave a comment and let me know! 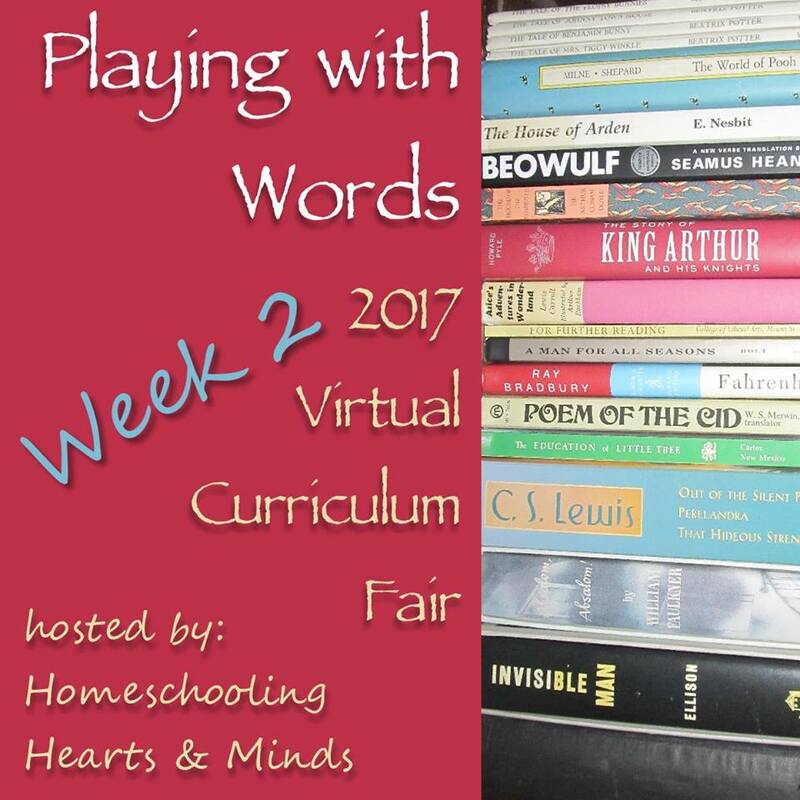 Also, please visit my fellow homeschool bloggers as they share thoughts on "Playing With Words" in this week's Virtual Curriculum Fair. 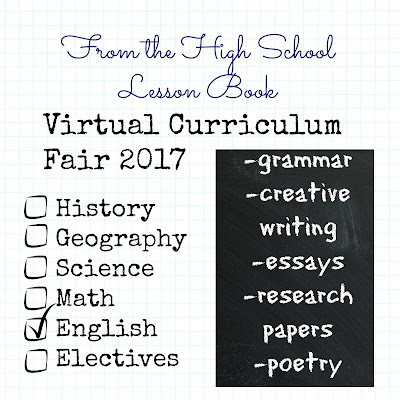 This post is part of the Virtual Curriculum Fair 2017. This year the Virtual Curriculum Fair is hosted by Susan at Homeschooling Hearts & Minds. Visit my fellow bloggers listed below and see how they are "Playing With Words" (all posts will be live by noon EST on January 9, 2017)! Oh, what a lot of great curriculum!!! I think the only one we haven't used an loved is Power in Your Hands and we are planning on using it with my 9th grader next year! Those are a lot of good choices! Glad to see you are enjoying so many Crew review items! I just started Fix It grammar with one of my middle kids---so far we like it a lot. We love that Poetry course!